So here is one for all the mums out there! Who doesn’t love a good tuna patty! Great for all ages and a perfect finger food for the bubba’s as you can just taylor the recipe to what stage bub is up to. Oh and not just bub – this is one of my hubby’s favourites too! We like them on some turkish bread with some salad and tzatziki or Mayo. Really who can go past a good tuna patty! Oil for the fry pan. Add water to the TM bowl and add the basket. Peel and cut up roughly the potato and pumpkin and add to the basket. Cook for 20 minutes on Varoma temp Speed 3. 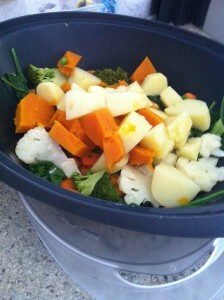 While the Potato is cooking place the varoma steamer in place and chop Veggies adding them to the varoma as you go. Add the lid back on after each time you add some more. Start with the harder veggies i.e. Carrot first. Leave the spinach leaves until there is only a couple of minutes left. Once finished take the varoma off, take basket out and tip contents into the varoma to cool. Allow to cool slightly before proceeding with the next step. The veggies with the potato / pumpkin on top cooling. In a dry TM bowl add the parsley, cheese (Cubed) and bread. Blitz on speed 9 for 8 seconds. Should be a good ‘crumb’. Set half of the crumb mix aside to coat the patties. Leave the other half in the tm bowl add to it the egg, the cooked veggies and tuna, Mix together on speed 5-6 for about 20 – 30 secondswith the aid of the spatula until the mixture is well mixed together. Test that the mix is not too sloppy should be able to form a loose patty. Mixture ready to form patty's. Heat oil in the fry pan. 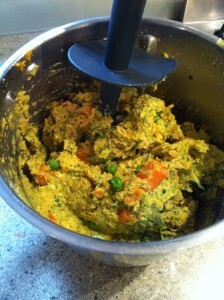 Form mix into a patty shape and roll through the left over crumbs. Place into the fry pan for a few minutes each side so that it is golden brown. Serve with a salad or a tzatziki or a yogurt dipping sauce. 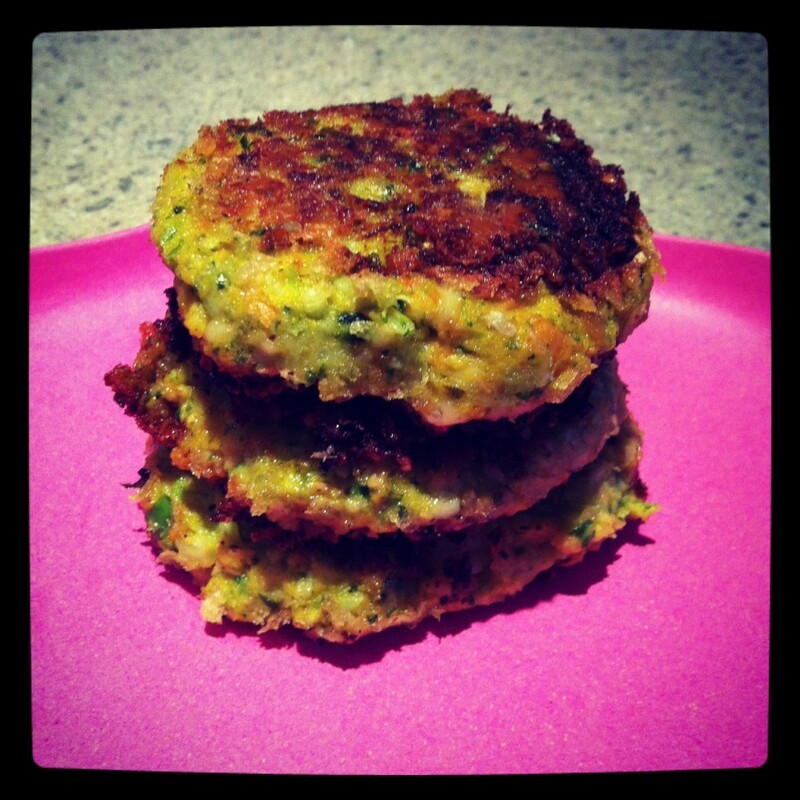 Leave out tuna for a vegetable patty. Use any combination of veggies that you like. 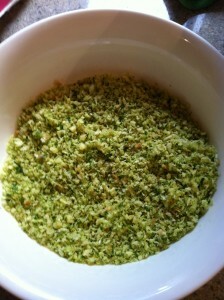 You could also add some sesame seeds to the left over bread crumb mix to coat the outside of the patty’s. For those health conscious and wanting to know about sustainable fishing and which Tuna is dolphin and sea creature friendly check out the greenpeace website HERE for the Canned Tuna rankings.